Nissan has entered the off-road adventure and camping markets with the introduction of their new Nissan NV. 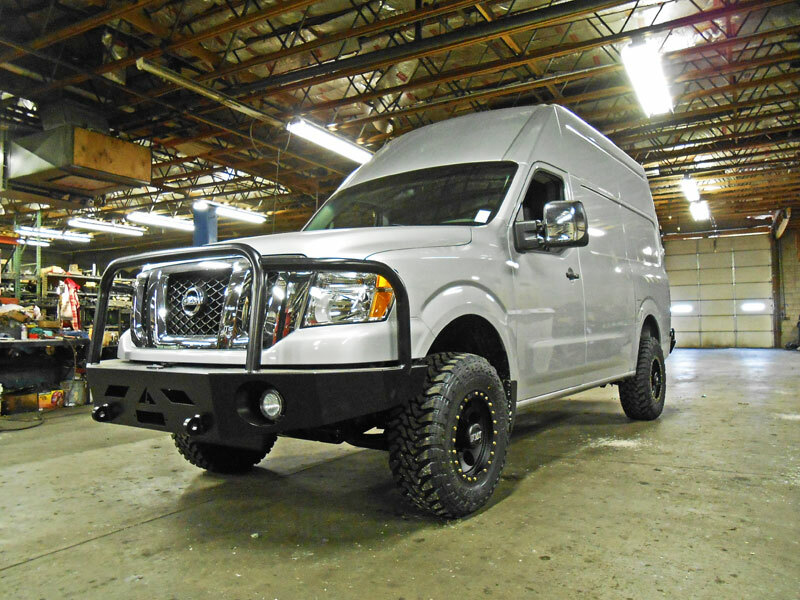 This full-size van is built for the United States and sold by Nissan. 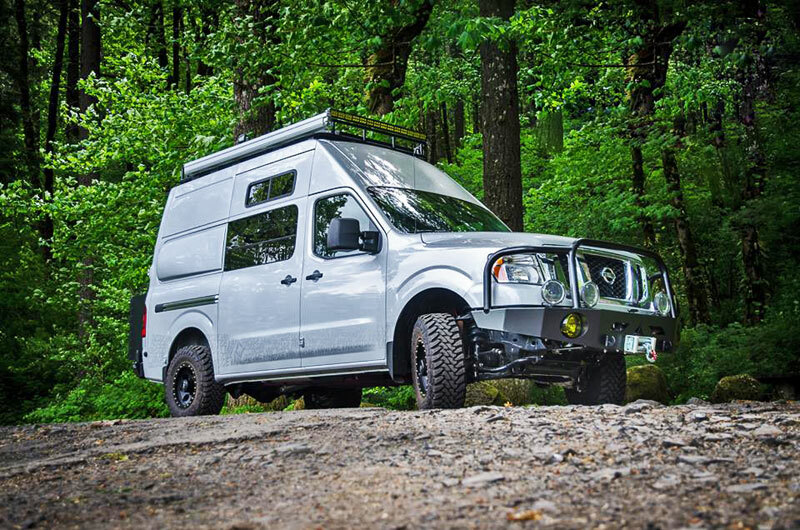 Owners of the Nissan NV can now customize the inside and outside of their van to meet all their off-road and camping needs. 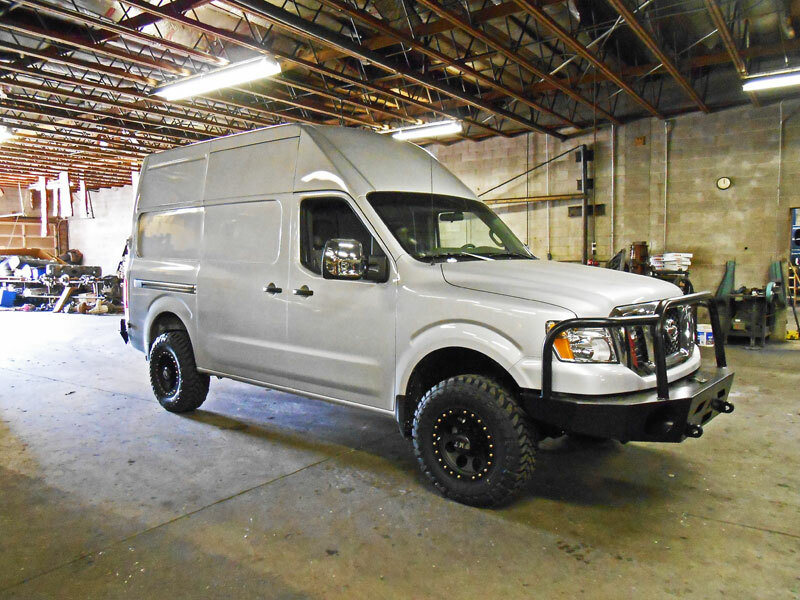 Several companies are even creating 4-wheel drive conversions for the 2500 cargo van NV and the 3500 passenger van NV model! 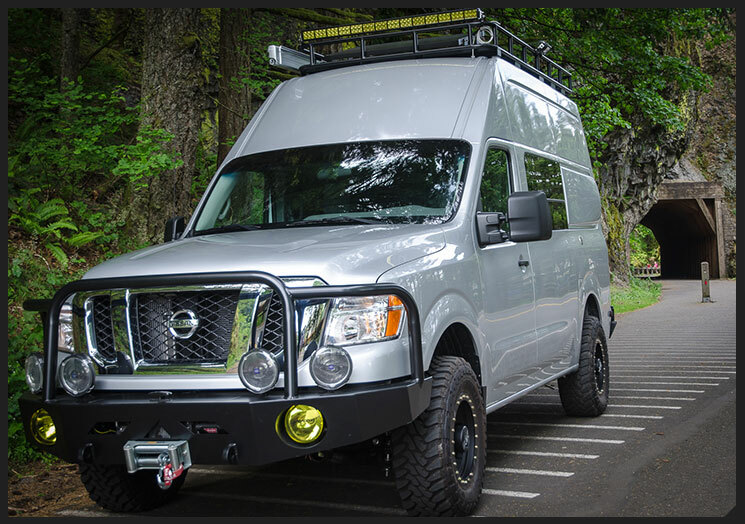 It’s time to outfit your Nissan NV with a rugged off-road aluminum front winch bumper from Aluminess! The bumper provides additional protection for your vehicle, versatility, and storage for any camping needs. 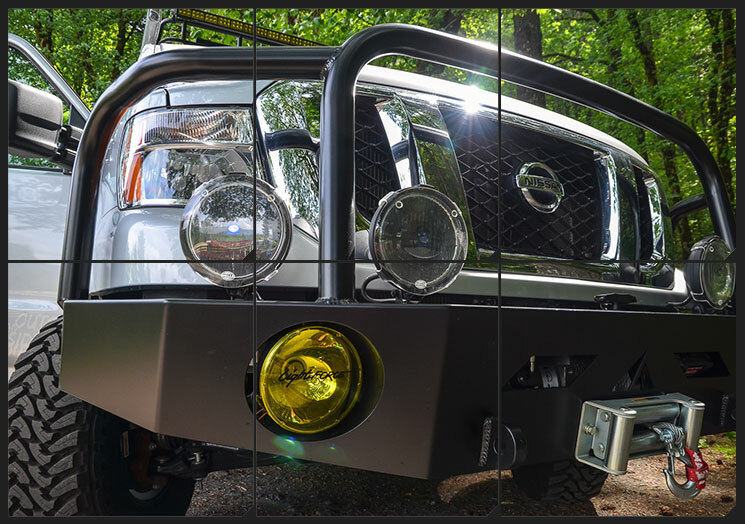 The Aluminess front winch bumper for the Nissan NV fits a number of winch sizes and has integrated shackle mounts. The all aluminum construction weighs only 85 pounds and won’t rust. The powder-coating doesn’t flake or peel resulting in an durable finish for your bumper.